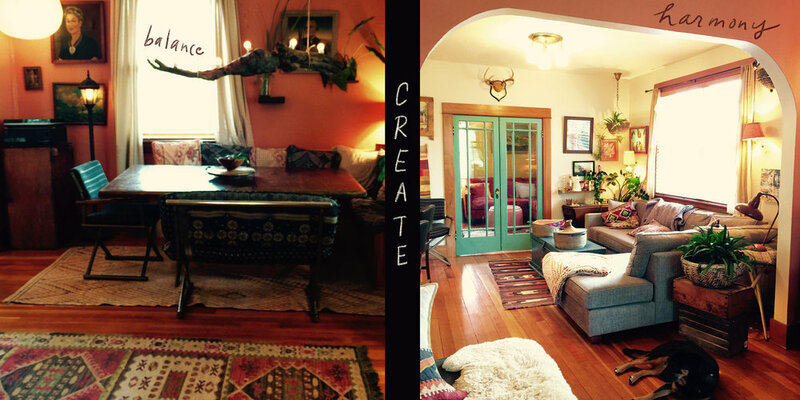 Blog Professional Organizer Portland Coaching Life Coach Portland — Organize Me, Penelope! Gallery - Organize Me Penelope! Recently I came back from a workshop that was mainly about rewriting the stories we tell ourselves about our lives especially when they no linger ring true. This workshop was based on the research and work of the amazing Brene Brown, a teacher I consider of one of the best calibers as per the way her right and left brain so wonderfully interact and inform. Her book, The Gifts of Imperfection, I must have bought at least 100 times as it was the book I first gifted coaching clients when I began my practice. I would ask them to read it during our time together if it resonated and if so we could have our own personal book club. I have stopped gifting this book as I have learned that not all clients need the same message however I will still recommend it when I feel it is just the right words for just the right person. Some of the highlights of this workshop besides not having a phone or internet service for three days was looking at the heavy burdensome rock like things we all carry around with us and simply stopping to see if they really serve us anymore and if so in which ways. I felt the heavy load lighten a bit after my time and I intentionally set down some old stories I have been carrying around that aren’t fully precise or even true at all. I have since found the space that action created within me is invaluable. This space has since been filled with what I truly want to tend to and care for. It has allowed me to let more joy into my life and truly grieve what needs to die. I tend to learn experientially and rumble with things in order to sort them out. Letting this process in to occur is the first step. Investing in ourselves in this modern world as somewhat challenging as we are told in sublime messages to keep our productivity up and never leave the sides of our children. I remember waking up one morning about six weeks prior to the retreat and my intuition said to look for getaways that will allow me to do my own work. Every year or so I have this need to go away somewhere outside of fun family or romantic trips and adventures but somewhere I can go within so I can come back to this life more fully myself and awake. I am grateful I listened and vow to continue to listen to these guiding parts of myself which truly know what I need on the deepest level. There are a million excuses to put ourselves off yet nothing is as important or will serve the world more than tending to ourselves. This is a seductive trap we all fall into once and a while. Underneath the surface is usually the value of belonging. Yet our saboteur sneaks into this golden value and tarnishes it so that we can hardly see our own reflection any longer. Instead we only see what others want us to be and we get confused thinking this is the pathway towards love acceptance and belonging. We think we have to become worthy as if that is a thing to attain. We forget we already own that but have given it away over and over again. You see when we go for pleasing others or chameleoinzing we usually abandon ourselves in the mix. This leads to a compartmentalized life that doesn't feel good. What if instead we chose to live from an embodied joyful place where first we check in with self and then other in a loop of awareness. Would this not be radical? Once we learn to check in with ourselves we can then turn our attention to other but in a much more compassionate gaze. Only at that point or we able to ask, "What is it that they are feeling and needing?" We ask this from a genuine place of empathy rather than pleasing. We may not be able to fulfill their needs however once we fill ourselves up we give others an opportunity to be heard and seen. This creates a sense of belonging in the truest sense. I find it interesting that sacred and scared or so close together in the English language. Just with a skip of the "c" and you go from faith to fear... from trust to doubt. Isn't that just he trick in most situations in life? You can really only come from one space or from the other. If your intention is to create a sacred space then there is no room for fear in that. Perhaps it shows up in your process but it has to be placed elsewhere as it certainly does not belong on the altar. When I go to sacred I think of power and connecting to the light... I think of expansion and open windows. I see fear as a gateway to sacred. Either you can let fear lead you or you can use it as an invitation to kneel and sit beside yourself. Next to your fear.. next to your power.. letting all parts exist. You belong here. You have something you want to transform and that belongs here too. My approach is to be the container for your aspirations. To hold the light to all you desire so you can see it more clearly. We will create beauty together and reveal the joy in your everyday moments. Every moment is an invitation to come back home to yourself.